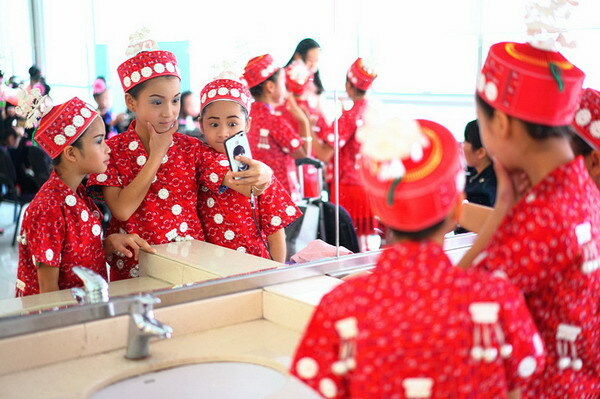 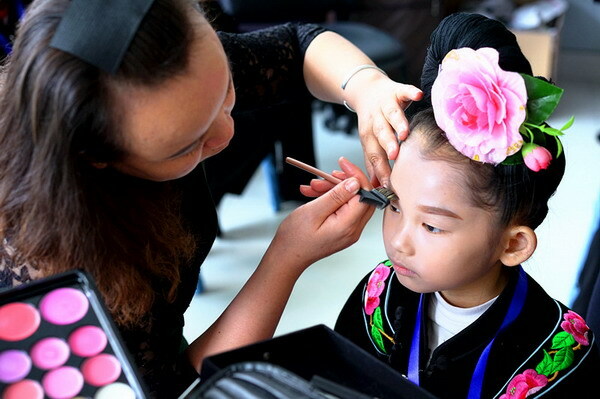 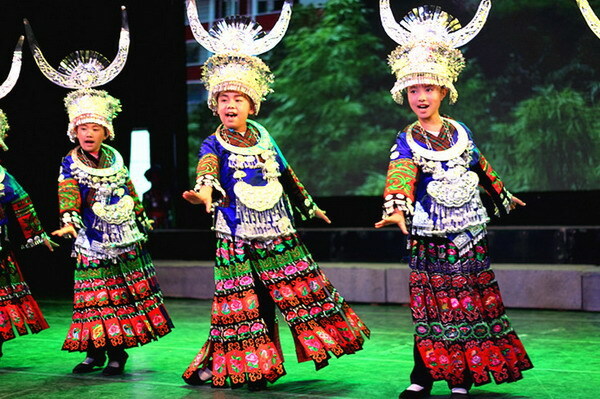 A special program of the 19th Shanghai International Art Festival, southeast Guizhou province ethnic minorities Miao and Dong children's intangible song and dance performance was staged at the Little Companion Theater of the China Welfare Institute on the evening of October 26. 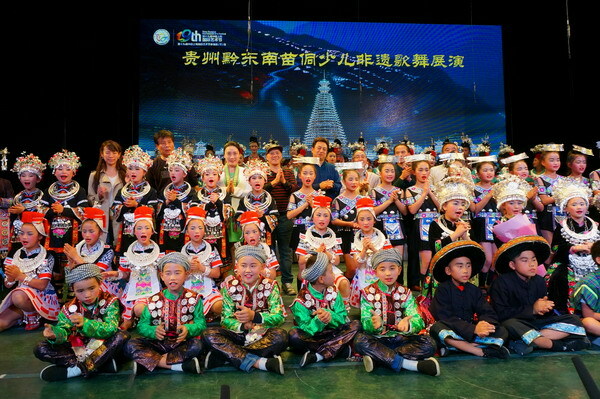 More than one hundred primary and secondary school students and teachers from one city and seven counties in Guizhou Miao and Dong autonomous prefecture presented to Shanghai audiences an original ecological art feast with folk songs and dances such as unique Miao flying songs, Lusheng dance, the golden pheasant dance, Dong minority big songs, Dong pipa song, Gejia toasting song and etc. 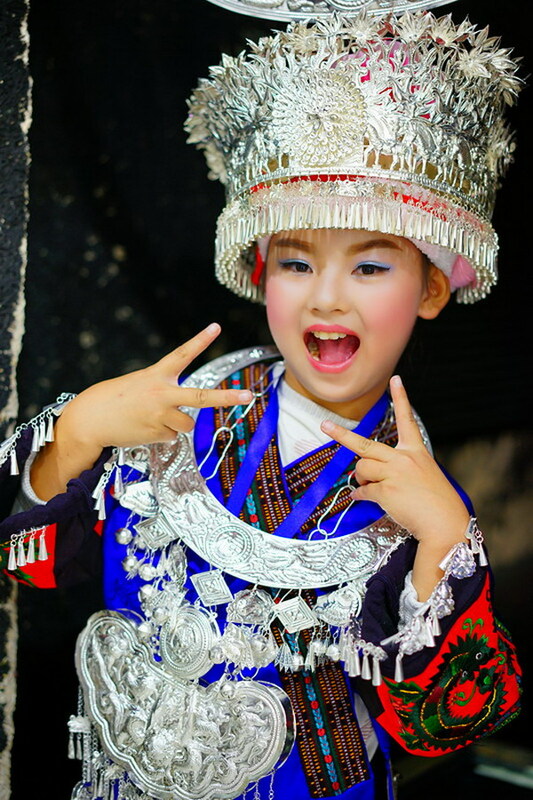 Qiandongnan prefecture of Guizhou province is an extremely rich and colorful place of folk art, especially the Miao and Dong folk songs and dances are renowned both at home and abroad. 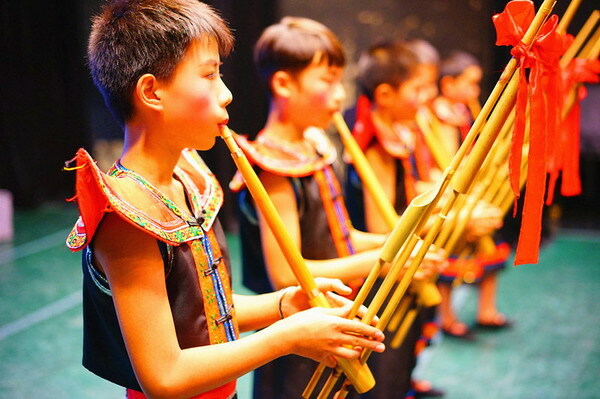 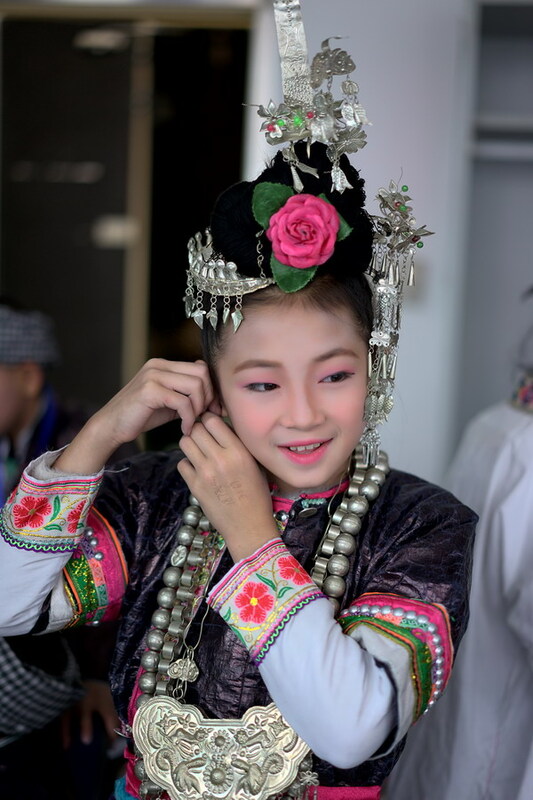 In recent years, according to the ministry of education's instruction to inherit traditional culture and national culture in campus, elementary and secondary schools in the deep mountains have carried out a variety of intangible songs and dances heritage activities, to make some endangered ethnic traditional culture to be revitalized and promoted. 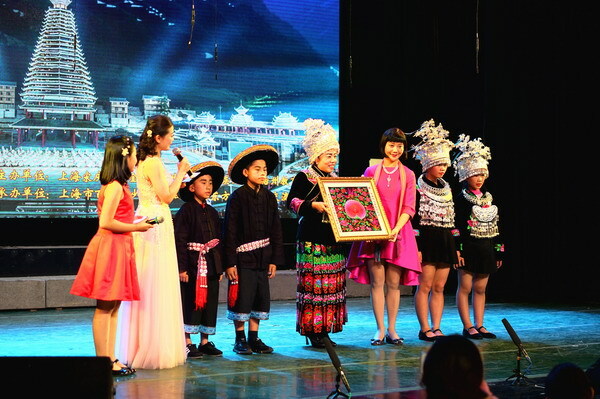 In performance, four students from Golden Concord Dengjiao Hope School in Dengjiao village, expressed gratitude with songs to the Golden Concord Sunshine Charitable Foundation which three years ago donated three million yuan to build roads up the mountain and new school buildings and presented the Golden Concord representative a traditional Miao embroidery expressing their deep feeling. 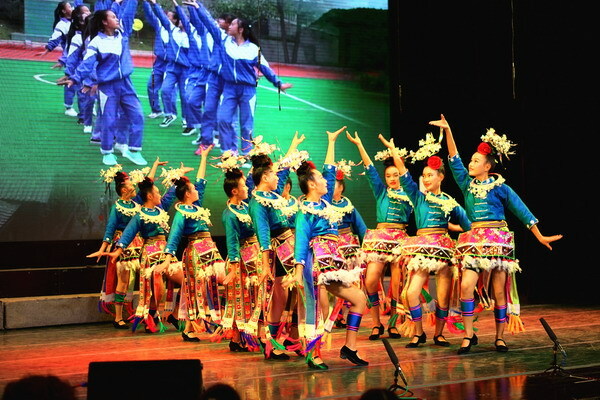 The song and dance show was co-sponsored by the Shanghai Soong Ching Ling Foundation and the Education Bureau of the Qiandongnan prefecture of Guizhou province.